A hot water system is, without a doubt, a necessity to almost every home in Brisbane. Whether it’s during the warm season or winter, everyone definitely needs a good supply of hot water in their homes. Who would love a cold shower? But that’s not the only reason for having a hot water system. We also need water for cleaning dishes and laundry amongst other activities. It is also important for homeowners to know that the hot water system also plays a significant role in preventing the clogging of drains. For you to get the most out of your water heater, you need to invest in a reliable system that is also energy-efficient. There are various types of hot water heaters that you can select from as discussed below. However, if you are a first-time shopper, you may need a professional plumber to help you choose the right water heater system. There are two main types of water heating systems in Brisbane: Gas and electric water heaters. In this guide, we have made a comparison between the two water heater systems to help you make the right decision. 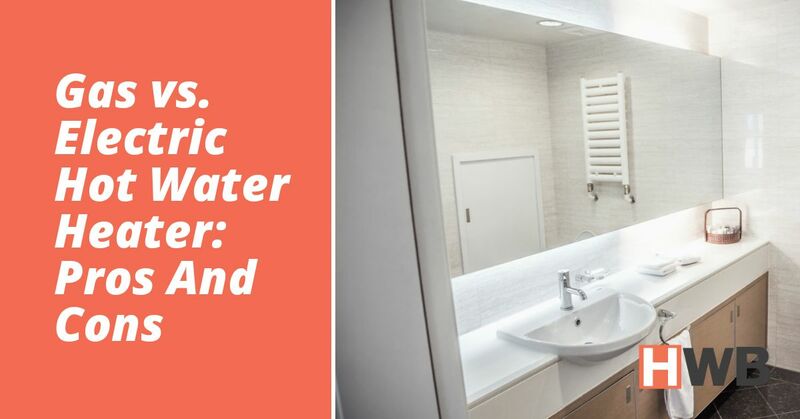 Check out the main pros and cons of each of the water heating systems. As the name suggests, a gas water heater is a water heating system that uses natural gas as the main fuel. Although they are not common within Brisbane, they are increasingly becoming popular due to a number of benefits such as rapid heating and lower operating cost. If you’re looking for a gas water heater, call a professional plumber to install your hot water system. The tankless heating system also called a continuous flow system is the most preferred by homeowners. It is a system where water passes through a hot pipe hence delivering a constant supply of hot water. It’s also cheap to install. The other type is a tank system or the conventional gas water heater which is expensive upfront but fairly cheap to maintain. Rapid Heating/ High Recovery Rate. Gas water heaters are twice as fast as the electric water heating system. That is because the amount of water that can be heated to a certain temperature in a given time period is higher compared to the electric-heated model. They have a very high recovery rate, making them ideal for larger families. Lower Cost of Operation. In Australia, gas is cheaper than electricity. For that reason, it is cheaper to heat water with natural gas in places like Brisbane. Hot Water Even During Power Outage. One of the reasons why you should consider a gas hot water heater is because you are guaranteed a constant supply of hot water even during power outage. No Day Tariffs. There are no day tariffs as there are with an electric hot water system. Gas cost is constant or the same throughout the day so it does not matter what time of the day you want to take a shower or use hot water. High Initial Cost. The initial cost is very high. Although they are economical to run in the long run, you will spend a considerable amount of money on setting up the system. Complex Installation Process. Most of the natural gas and LPG installation is complex; hence the cost is high compared to that of an electric water heater. For instance, you need to have a ventilation system which is an extra cost that should not be there. System Has Risks. With a gas water heater system, there will be a risk of explosion. Therefore, proper maintenance is crucial to keep the system safe. With proper maintenance, there is a far lower risk of explosion. As the name suggests, electric water heaters use electricity as fuel to heat water. They are very popular across Australia and more so in Brisbane due to a number of reasons. One of the reasons why these water heaters are popular is because they are easy to use compared to gas heaters. With these water heaters, you don’t have to worry about turning the gas for the heating to start- they rely purely on electricity. They are also extremely reliable compared to the humble gas heaters. There are many brands like Rheem Water Heater that you can select from in Brisbane. Convenience and Ease of Use. 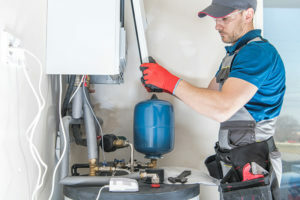 Ease of use and convenience compared to gas heated systems are some of the main reasons why most people in Brisbane prefer electric water heater systems. They run purely on electricity, so you don’t have to worry about turning the gas on. Space Saving. 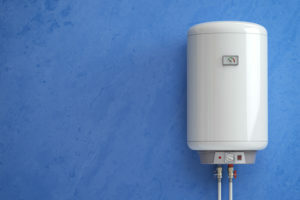 Unlike a gas-powered model of the same capacity, an electric water heater is compact, and that’s why they are popular with people whose homes have limited spaces. You also don’t need additional vents for exhaust gas as it is with the gas water heater system. Easier and Low-Cost Installation. Since you don’t require to put in place venting for exhaust gases, the installation of an electric water heater is simple. In fact, what you need is just power provision, connect the tank to the water system, and then you are good to go. That’s how easy and cheap it can be. Availability of Power Source. 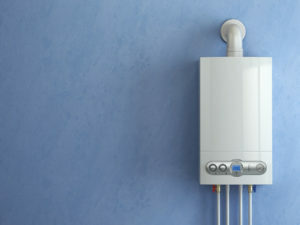 An electric water heater can be used in any home that is connected to the power grid. That’s not the same as gas water heaters that are limited to homes connected to the local gas heater. Guaranteed Supply of Hot Water. As long as you have an electrical connection in your home, you will never run out of hot water. More expensive in the long run. Although the initial cost is low, the electric water heater system will cost you more in the long run. That is because electricity is more expensive than gas in Australia. No Hot Water Without Electricity. When there is a power outage, there is no hot water in your house. Longer Recovery Time. The recovery time for these models will disappoint. The amount of water that can be heated to a certain temperature in a given time period is lower compared to the gas-heated system. Gas/Electric Heater: Which is More Efficient? Both water heater systems are good, but if you are looking for better efficiency, then a gas hot water system has better efficiency. It has a higher recovery time and is cheap to heat water in the long run. Gas/Electric Heater: Which Costs More in the Long Run? The electric water heating system will cost you more in the long run. That is because electricity is more expensive in Australia than natural or LPG gas. A gas system is more expensive to install in terms of upfront costs, but you will recoup the additional costs with your lower bill within a year. Gas Or Electric Hot Water System: Which To Choose? Ultimately, it all depends on your needs and type of household. We at Hot Water Brisbane are specialists in hot water systems. See our range of services here. Contact us if you need advice and installation of a hot water system.